NEW PRICE! MUST SEE!! 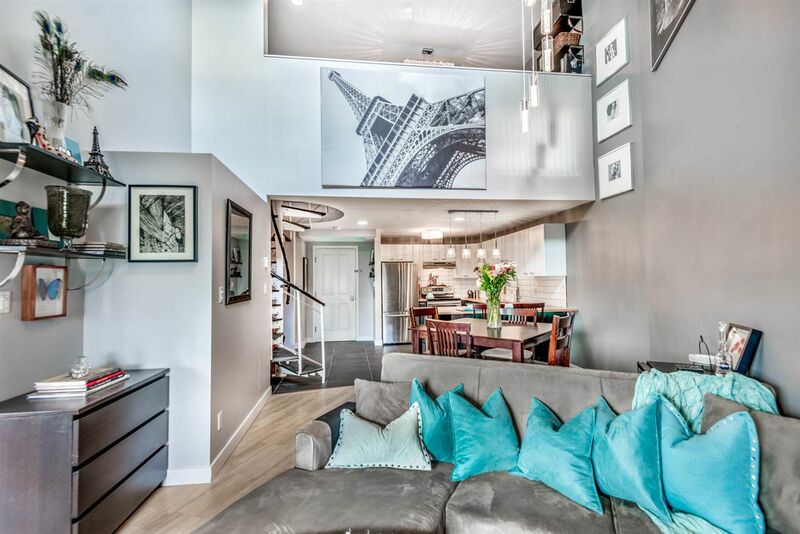 Stylish 2 bedroom Penthouse at Shaughnessy Square with double height ceiling. Spiral staircase leads to loft (used as bedroom) overlooking living area. Includes private roof top deck. Recently updated features include new bathroom, new tiles, (bathroom, around fireplace, foyer etc) butcher block counter top, back splash, light fixtures. Great location near transit and shopping. Poco Trail and other parks. Comes with 2 parking stalls and storage locker. OPEN HOUSE Sunday December 9, 2-4pm.